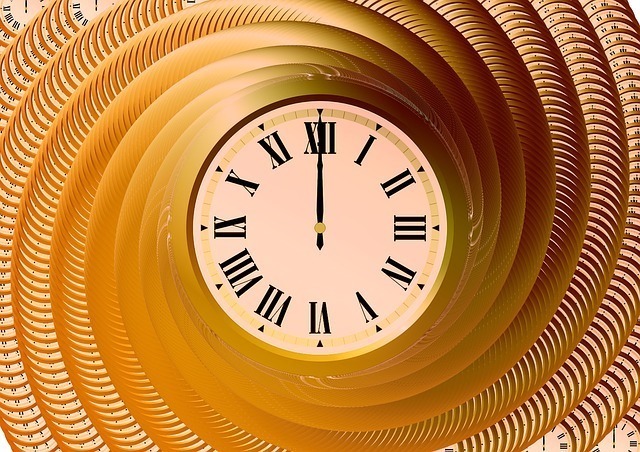 Time is your best friend and your worst enemy, and as technology improves along various industrial lines, there will be fewer excuses that you can give when it comes to paying attention to microseconds of synchronicity. High noon is no longer when the sun is the most central in the sky. High noon is now when your wireless time synchronization system says it is – literally! This can be either fascinating or troublesome, depending on how you look at it, so feel free to explore the headspace involved in technological and social aspects of it. It’s all about transmission and reception when it comes to synchronicity. Yes, you can manually set the time in things like your car, on your radio, your oven, your microwave, etc., but what fun is that? Wouldn’t you rather have a central brain that transmits a wireless signal to all of your sub-brains (and equipment) so that you know that everybody who has access to a clock is aware that 3:04pm means 3:04pm? That’s where technology has made it to, thanks to transmitters that operate on certain frequencies. No more guesswork for schools, hospitals, businesses, government agencies, or anyone else who has access to time-syncing technology. GPS is great, right? Because now you always know where you are, assuming you have a connection to the right data stream. But GPS is also great because, with that same data stream, you know *when you are as well. Time in the cloud means that everyone who is connected to GPS signals can be aware of what time it is, even crossing through various time zones (think air or train travel) or various iterations of daylight savings time, however pervasive that may be depending on your season and location. Gone are the times when you can say your watch or alarm clock was set wrong. There’s no excuse anymore to be late because of a device. You can be late because you weren’t ready. Maybe you were overbooked. Perhaps there was an inordinate amount of traffic. All these are acceptable, if potentially a little rude. But blaming lateness on watches, clocks, or time-keeping devices isn’t going to cut it anymore, especially with the onset of cell-towers, satellite devices, internet connectivity, the availability of the cloud, or all of those other ways that time stays in sync, all the time, without any effort on your part. Ultimately, as long as you and your professional counterparts are on the same page about time, and you and your social compatriots have an understanding about how you all relate to the ideas of time, new technology will allow a greater freedom and peace of mind when it comes to being error-free.